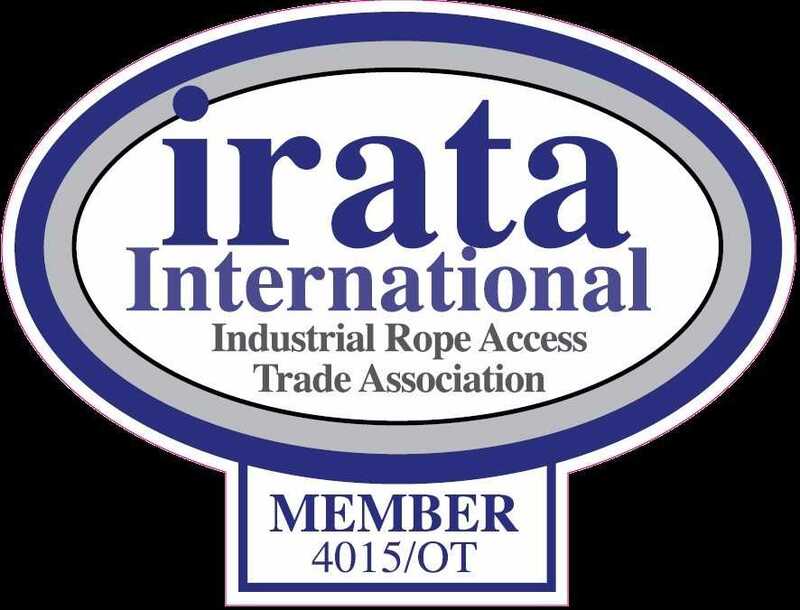 IRATA is the leading international authority on industrial rope access. Atlas Access is famous for being on of the most open industrial rope access companies, and provides rope access workers as well as training in industrial rope access in Sydney. When you need skilled rope access workers, Atlas Access should be the first place you think of. It is important for employers to be certain that anyone working at heights is properly certified and trained to do this. Asking your normal employees who have not completed the appropriate training is not only risking their lives, but also potentially opening you up to serious civil liability and even criminal prosecution. Choosing skilled labour from Atlas Access is the best way to ensure you don’t encounter problems on short-term outsourced tasks, or for more permanent employment situations, our IRATA accredited rope access courses are the best way to get your team qualified. Not every job that involves working at heights necessarily requires rope access skills. Crane operators, for example, could benefit from rope access training but don’t actually require it. The main industries where rope access qualifications are used include construction, energy, petroleum, mining, search and rescue, and civil engineering. There are many situations in construction where drone inspections just aren’t sufficient to provide the level of detail required. Relying entirely on remotely operated devices to gather such important data may result in small details not being noticed. 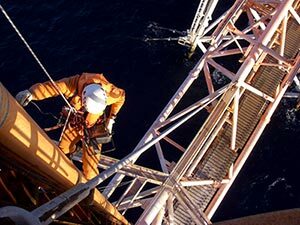 Rope access is also important in oil exploration, especially at sea on oil rig platforms. 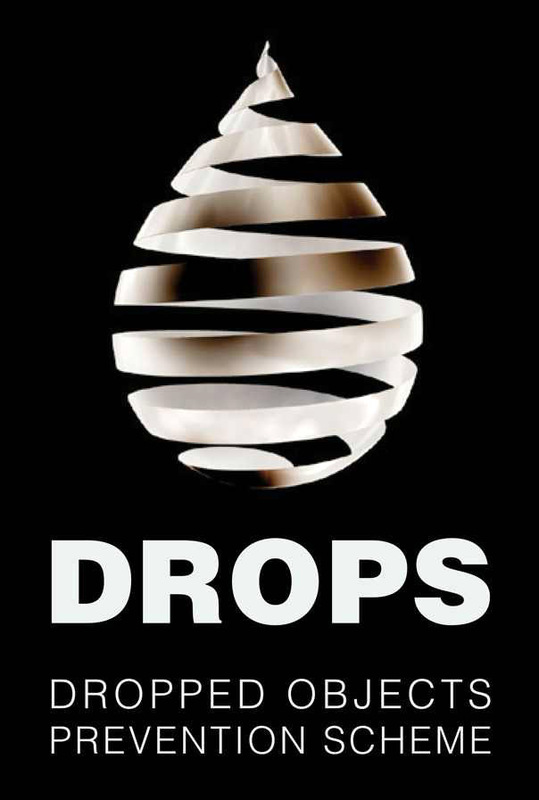 Oil exploration and oil drilling is definitely a situation where you’ll want to ensure nothing can go wrong. There are just so many dangers already present in this environment, so having people who are properly trained and qualified to carry out work at heights here is essential. In the business of providing electricity, too, great care needs to be taken when working on towers and poles, because any mistakes can so easily turn fatal. Obviously also in search and rescue efforts, rope access skills are a necessity. Being able to get into confined spaces with minimal effort and extract people who are trapped when you only have a limited time to get them out is a very demanding task. You’ll want to be sure that whoever is tasked with this mission knows what they are doing. Our training courses cover a comprehensive range of skills which can qualify with IRATA accredited certification, which is the highest level of competency in industrial rope access. Students learn all the skills necessary for safely working at heights, and also learn about working safely in confined spaces, first aid skills, operation of open circuit breathing apparatus, and all the various techniques required in vertical rescue operations of all kinds. All this training is available right here in Sydney, and we have trained personnel available all across Australia ready to go at a moment’s notice. When you have an emergency requiring skilled rope access personnel, Atlas Access is there to meet the need. 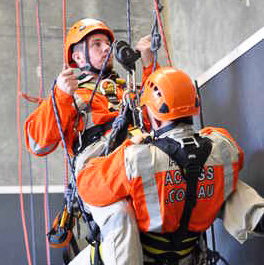 Atlas Access stands out from the crowd, providing the best training for industrial rope access in Sydney. You will gain skills that get you recognition for the attributes required of industrial rope access workers. In any case, the training is mandatory for any job that requires IRATA accredited training, which is most jobs involving working at heights or in confined spaces. Also, your IRATA training is recognized worldwide, not only in Australia. All training courses provided by Atlas Access are led by expert instructors who have a solid background of field work experience. They perform their tasks to the highest level of professionalism and will ensure you are able to complete your training in a safe and effective way. You will be challenged by our courses like never before, and it is worth it because you will emerge on the other side of the training with confidence, skills, and inner strength you may not have even known you possessed. To get the most from your training, be prepared to give it your all. The more focused and committed you are to achieving the course objectives, the easier you will find it to complete the tasks, and you will find it is easier to remember the skills you are learning. Class sizes are small, because as we mentioned earlier, not everyone can do this kind of work. This means you have plenty of opportunity to get your questions answered and you can get all the help you need. Training is structured in a way that will allow you to make progress at a steady rate without being overwhelmed with new information. We make it easy to acquire new skills and remember them. During the course, your safety is in our hands, but your potential for success is in your own hands. This is appropriate because once you leave the course, you’ll be responsible for your own safety (and, quite likely, the safety of others). To be ready for this enormous responsibility, you’ll need to demonstrate mastery of many skills and much information. When you get your training with Atlas Access, you are getting the best chance to learn everything you will need to help you do your job well once you’re employed in a role where these skills are required. With this qualification, not even the sky is the limit. If you’re the kind of person who appreciates the view from above, if you want to escape the limitations of an ordinary job, and if you want sky high earning potential, it’s time to take the first step. Call Atlas Access today and find out more about this opportunity. Call us today to find out more about the services available from Atlas Access. Atlas Access is a specialist Industrial Rope Access operation providing a comprehensive package of Inspection, Maintenance, Repair, Operational Services & Training Solutions to a wide range of industry groups throughout Australasia. Please note that our range of RTO courses do not currently have any scheduled dates, as we are updating our course structures & materials. We'll be rolling out the brand new courses in SEPT 2018, please get in touch if you want to know more about what we'll be offering or have a chat about packaging your courses together. In the mean time we are still running all of our IRATA Rope Access courses as per the schedule below.